The Taz Show Recap - Luke Harper's Role, Styles Confronts Shane McMahon, Should Shane Wrestle at 'Mania? More! Taz opens today’s show speaking about the backstage confrontation between A.J. Styles and Shane McMahon after Smackdown Live last night. Taz thought the segment was unique and it was shot very well. He also credits Styles and Shane for their performances during the segment, which made the whole thing feel like a shoot. Taz thought WWE could have went even further with the ‘exclusive footage’ feel. He thought they could have mentioned it throughout 205 Live, and Michael Cole could have done a live cut-in, giving us a first-hand perspective since he witnessed the confrontation live. He also says that WWE could have done a follow up interview with Styles in the locker room as security arrived to usher him out of the arena. 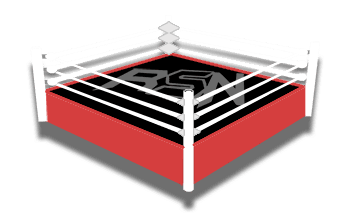 A listener calls into the show and says he has the upmost respect for Shane McMahon and the things he has accomplished in the wrestling business and beyond, but he has no interest in watching Shane wrestle anymore at this point. Taz agrees with the caller and says that he’s not really excited to watch Shane wrestle anymore either. There’s no denying Shane’s passion for the business and frankly, most of his matches are good because he’s very creative in the ring. Shane and Styles will try to steal the show at WrestleMania and they very likely could, but that doesn’t change the fact that Shane is taking the place of a main roster talent who has been grinding on the road all year long.